Located 20 mins. South of DownTown Chicago. 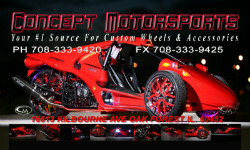 One of Chicago's leaders in Custom Wheels and Auto Accessories. With Over 20 yrs of Customer Service, and Vehicle Experience.